The Testimonies of Russian and American Postmodern Poetry: Reference, Trauma, and History (Bloomsbury, 2014) is divided in half. The first part looks at 1970s/1980s Russian (Moscow) conceptual poetry and poetics, focussing on Dmitry Prigov and Lev Rubinstein (Rubinshtein) but also on the "meta-realists" Elena Schvarts and Alexi Parschikov (Arkadii Dragomoschenko is a key poet for this context, though not a main subject here). Artists Grisha Bruskin and Ilya Kabakov are also main subjects. The second part of the book makes an between both Moscow conceptualism and St. Petersburg metarealist poetry and the 1970s/1980s poetry/poetics associated with L=A=N=G=U=A=G=E. Lutzkanova-Vassileva offers detailed readings of Bob Perelman, Bruce Andrews Steve McCaffery, David Melnick, Ron Silliman, as well as my work. 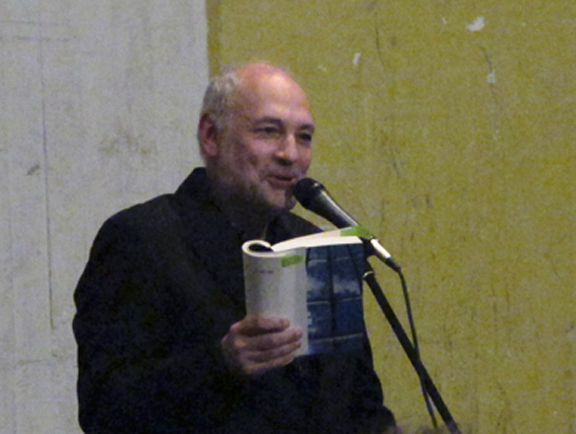 Lutzkanova-Vassileva also traces the connection to the Russian futurists (Shklovsky, Khelbinikov, Kruchenykh). Her commentary is focussed on the ways the poems she addresses respond the emerging technological/digital environment of the time. While quite different in its readings, the work bears some resemblance to Jacob Edmond's cross-national approach in Common Strangeness. 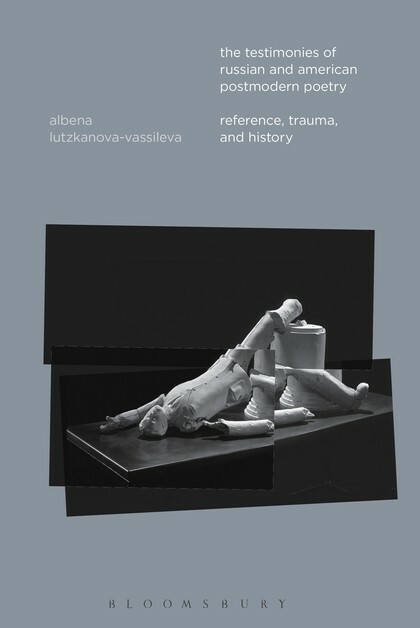 Lutzkanova-Vassileva provides remarkably illuminating close readings of many poems, with an emphasis on the social and political meanings of invented poetic forms. This is a remarkable study both for its Russian/American comparative approach and for it's thoughtful reading of each poet and artist. Coincidentally, Ugly Ducking Press has just published a new, expanded –– Compleat–– edition of Lev Rubinstein's Catalogue of Comedic Novelties. "This is a poetry of changing parts that ensnares the evanescent uncanniness of the everyday. By means of rhythmically foregrounding a central device—the basic unit of work is the index card—Rubinstein continuously makes actual a flickering now time that is both intimate and strange. Philip Metres and Tatiana Tulchinsky have created an engaging translation of a major work of contemporary Russian poetry. In the process, they have created a poem 'in the American' and in the tradition of seriality associated with Charles Reznikoff and Robert Grenier." In Rubinstein’s poetry’s, cards work to create constellations of highly articulated motifs. He often uses parallel structures, for example, a repeated opening phrase, as well as other procedural devices (a poem from 1985 entirely of footnotes, one per page). Rubinstein collages language from a range of social discourses into his poems, twisting the material to create patterns of reflection. There is a strong non-linear narrative to many of the works, pastiche of lyric poetry, elegy. 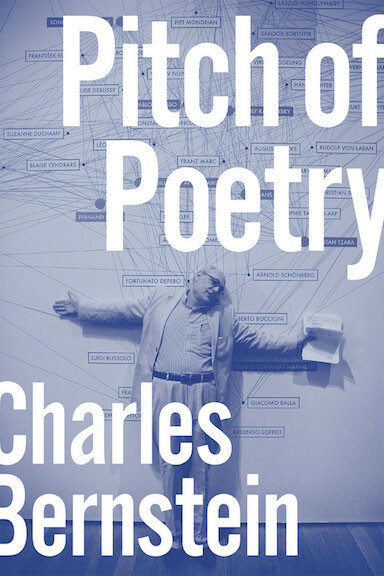 His poems are both dialectical and diacritical (self reflective). Lutzkanova-Vassileva, like Edmond, provides an account of the affinity with poetry of the same time in North America. The issue is particularly striking with Rubinstein because some of what he does seems close to a number of us here, but this is not a matter of direct influence in either direction. You can see parallels with Rubinstein’s work also in Kootenay School of Writing poets Jeff Derkson and Kevin Davies, but also a bit of Ted Greenwald’s formal torquing of everyday speech, Ron Silliman's "New Sentence," and my own mid-70s appropriated/serial sentences in "Parsing"; but such comparisons are a trap. Perhaps we can say that Rubinstein confronted parallel cultural and aesthetic conditions. It would betray his work to read it outside the specific Soviet/Russian context in which it was written or to read its affinity with North American work as an intrinsic part its meaning. Neither Rubinstein (nor Dragomoschenko) was creating an American sphere of influence in Russian poetry, anymore than those of in North America were doing work that was meant to reflect Russian poetry. The account of this non-national affinity is more interesting than that. You can flip through a stack version of Rubinstein's cards at BlazeVox. You can sample Lutzkanova-Vassileva's The Testimonies of Russian and American Postmodern Poetry at Google Books (and download the introduction for free).